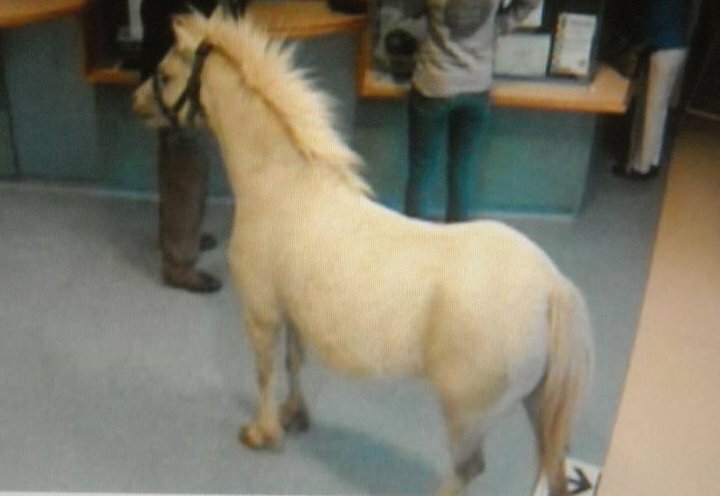 More pictures of the man and pony seen trying to catch a train from Wrexham have emerged. The pair have visited pubs in the town and have also been pictured in the reception of Wrexham Maelor hospital’s A&E department. Have you spotted them out and about in Wrexham? Do you know who the man is?